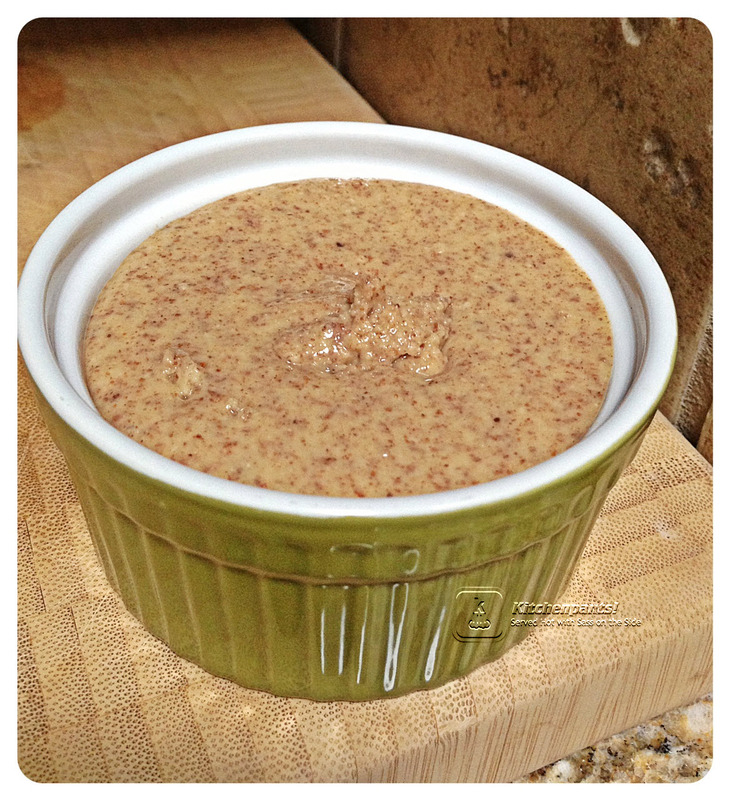 Honey Almond Butter | Kitchenpants! This whole recipe started with a ploy to get out of eating peanut butter. Foodwise, peanut butter has always been sort of a booty-call food to me. In the world of Ali, a booty-call food is one that I eat for a purpose other than taste. Booty-call foods serve a simple purpose and unless I am seeking that purpose, I have no use for them. Peanut butter, I have found, is one of my best early-morning pre-run fuel foods… but, unless I need fuel for an early morning run, I want no part of peanut butter. Booty. Call. I’ve tried other nut butters as well…and, eh. I’m not sure if it’s the taste or the texture or what, but I don’t really care for them. I’m going to blame my mom for this. When all the other kids were getting Peter Pan and Jif and Skippy, I was getting natural peanut butter. You know, the stuff with the big oil slick at the top? Nasty. She used to slap that on hard-as-a-rock all natural whole wheat bread and put that in my lunch! I nearly choked to death on a daily basis trying to get that down. I swore that I would never do the same to my kids. “Wonder Bread and Jif for all!” I declared. 1.5 Tbs. Honey – I use an orange blossom honey, but any quality honey will work. Food Processor – I used a mini-processor for this. If you want to use the big guy, I would double or even triple the recipe. 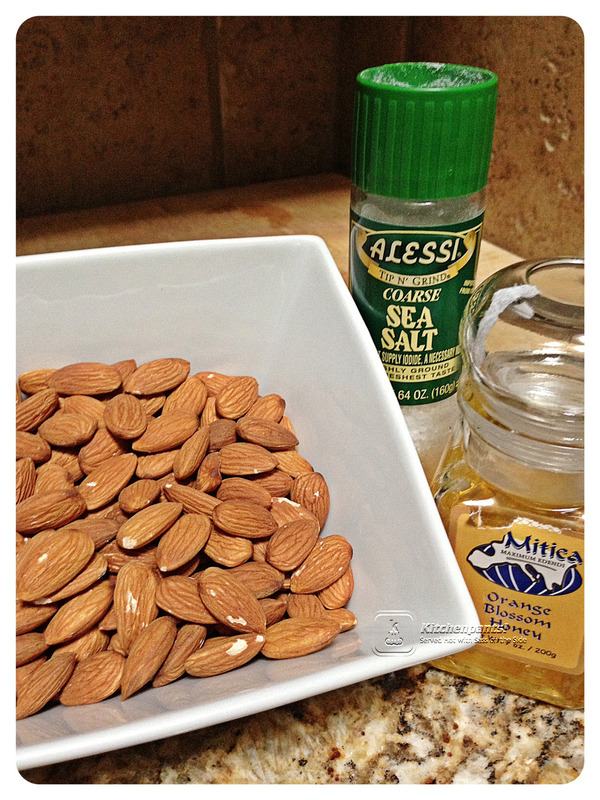 Spread the almonds over the foil-lined sheet in a single layer. You don’t need oil or butter – almonds have plenty of fat already. They will roast up on their own. When the oven is ready, place the sheet in the oven and roast for 10-12 minutes. 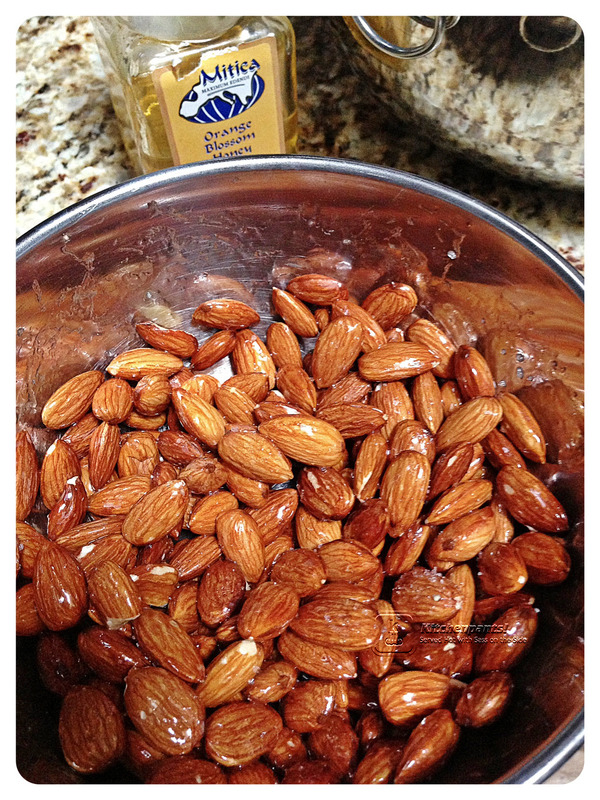 While the almonds are roasting, measure out the honey into a mixing bowl. Set it aside. You will want to have it handy immediately as the almonds come out of the oven. Sprinkle with sea salt to your taste. Sneak a taste at this point! These will be salty and sweet and warm. Heaven! I don’t blame you if you have more than one or two. When you have ceased your sneaking, pour the mixture into your food processor. Now, get ready. Making almond butter in the food processor is a test of courage and belief. No, I am not kidding. This will take some time to do, and you will get to a point where you think that this is not going to work. It’s almost like hitting the wall in a race. Push on through because the almond butter will appear. Process! The processor will ground the almonds roughly and then into a fine ground. Take time to scrape the rogue almond dust off the sides of the bowl. You will do this a lot. Keep processing. Scrape, process, scrape. Test the processor. Is it getting hot? Give it a moment to cool down. Resist the urge to add oil to the mix. When it does, taste it. I tasted mine and it is so much better to me than peanut butter! Add more salt or honey if you like. You may also elect to add a little cinnamon to the almonds when you pull them out of the oven. Store this in the refrigerator and enjoy before a run. Thank you! I hope that you enjoy it. It’s really easy to add more flavoring to it if you opt for that. I used this batch in a recipe for tomorrow so I kept it simple.